Under the guidance of the Enrollment Manager, the Enrollment Representative will be responsible for accurate and timely processing of enrollment applications for Individual and Family Plans in a high volume environment. This position requires the individual to act as a liaison between various carrier partners and applicants. The Enrollment Representative is responsible for obtaining outstanding requirements from applicants and forwarding them to our carrier partners to finalize the review process. The primary focus is to obtain approved members while providing excellent customer service. Review paper applications for completeness and accuracy prior to being forwarded to the health insurance carrier for processing. 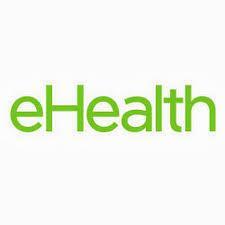 Exchange information with the health insurance carrier throughout the application review process (via e-mail, Extranet notes, telephone, website, etc.) to determine and obtain outstanding requirements. Proactively make outbound telephone calls and e-mails to applicants to notify of and obtain outstanding requirements. Respond to telephone calls from applicants, carriers and coworkers. Process work queues that are generated during the various stages of follow-up to maintain the most current status and complete the review process. Coordinate and facilitate the communication (i.e. faxes, e-mail & verbal responses) between the applicant and the health insurance carrier. Research and resolve issues encountered while processing daily tasks. Provide feedback to Supervisors on trends that would affect the established Enrollment processes or close ratios. Provide feedback to Supervisors on new processes or procedures communicated by the health insurance carrier while processing daily tasks. Analytical and problem solving skills, with attention to detail. Strong interpersonal and communications skills – verbal and written. Organized and able to multi-task and prioritize workload. Ability to work independently, performing to high standards of productivity and accuracy. Proficient with Microsoft Office, including Excel, and Word. Prior experience in the insurance, banking or mortgage industry.